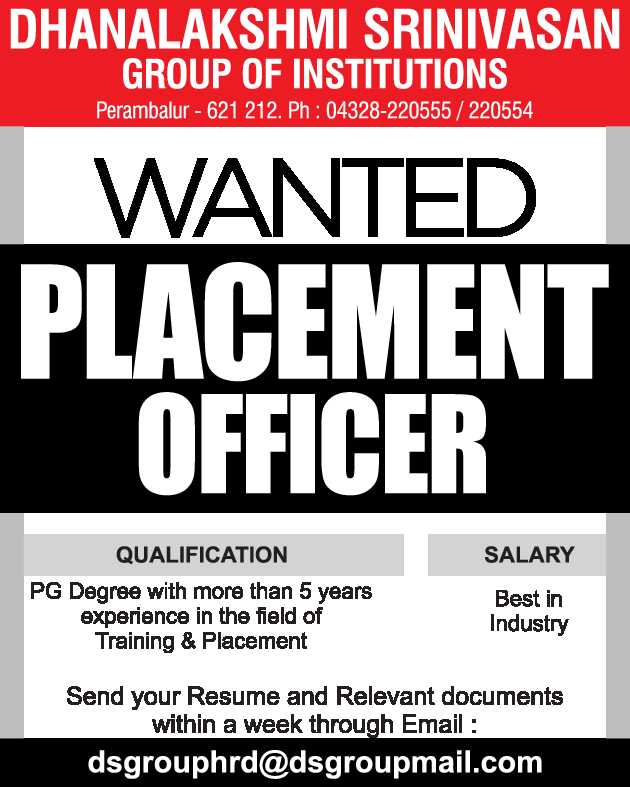 Dhanalakshmi Srinivasan Group of Institutions, Perambalur has advertised in THE HINDU newspaper for the recruitment of Principal job vacancy. Interested and eligible job aspirants are requested to apply within a week from 01st August 2018. Check out further more details below.